You must make reservations at least 5 minutes in advance of the time at The Pikey. Between Stanley Ave. and Curson Ave. The Pikey Proudly Serves Free Range, Organic Poultry and Grass Fed Hormone Meat. The Vast Majority of Our Produce is Organic and From Local Farms. Open for Lunch and Brunch!! We Serve a Classic, British Sunday Roast. Every Sunday from 3:30pm to 7pm. THE PIKEY PROUDLY SERVES FREE RANGE, NON GMO, CERTIFIED HUMANE MEAT AND POULTRY. THE MAJORIT Y OF OUR PRODUCE IS ORGANIC AND FROM LOCAL FARMS. PASTA IS MADE FRESH DAILY. *May contain raw or undercooked items. The consumption of raw or undercooked eggs, meat, poultry, seafood or shellfish may increase your risk of food borne illness. There is a $2 charge for substitutions. The Pikey is a fun attempt at a British bar/restaurant. Staff weren’t too enthusiastic. Meat wasn’t served like a traditional Sunday roast. Beef and lamb should be sliced. No chicken option. Overpriced but tasty and relaxed dining. I took my staff for lunch last week. We sat on the front patio. The service was great... and the food was even better. I had the grill cheese and OMG!! Delicious! A few people had the fish & chips and they said it was the BEST they’d had. The fish was HUGE. A few had the burger and loved it. All of us agreed that we’ll definitely go back! Cosy place with great food!! Great friendly service! Great food, great people. And the review has to 50 characters, so here you go. Manager David sets the vibe for this wonderful world of Pikey. A great escape. Fresh, quality food with good cooking! Great new menu. Some old favorites, but definitely a slew of "new" favorites. They start serving the Sunday Roast at 3:30 pm but when we got there at 5 pm they had sold out so we left. Smoked Lamb Ribs was excellent , and the fish and chips(fries) was good too . Your new menu was not good. Foods was outstanding! My only complaints was it was very loud! However we enjoyed it and will definitely come back! Loved our meal. Lamb shank was special of night and oh was it special. Also had citrus salad. Just love the Pikey! We love this neighborhood spot so much that we came here on Valentine’s Day. My husband is a huge fan of their fish and chips. They were very accommodating to our 3-year-old. I've been a regular at the Pikey for almost a decade, which makes it hard to say that my last visit will be my last. For the first time I could say there cocktails weren't very good. Maybe they have a new mixologist? Also, the food portions were terrible. For $19, we got the fish and chips which came with one medium-sized filet, whereas before we got at least two filets. I also ordered their new burger which was about he size of a slider. I left feeling like I overpaid for everything. Waiter’s gave attitude unnecessarily. On previous occasions the wait staff have been good hence why we came back. Tonight encountered two waiters who spoke about patrons within earshot of said patrons and gave poor customer service. This is the second time we've gone to The Pikey for dinner and we've loved it. 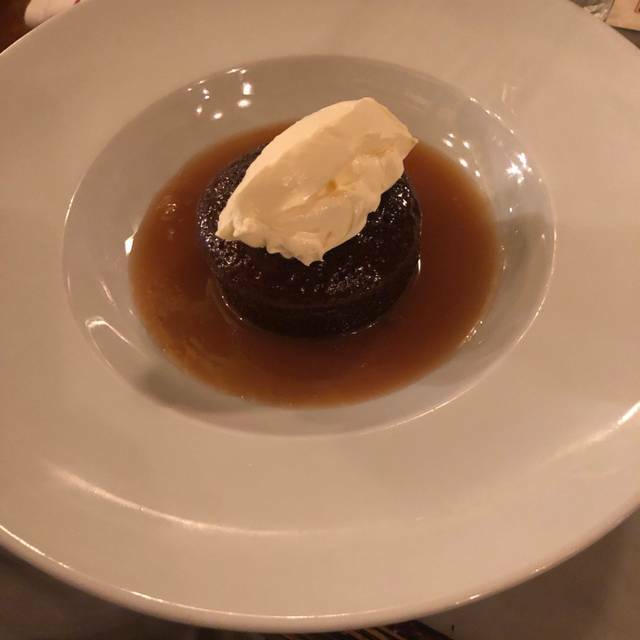 The food is great, British influenced but also with the addition of salads and seasonal fair, reasonably priced for what it is, very professional service. Way to loud for a date on a weekend. Great local place. Interesting menu. Possibly the best fish and chips in LA!! Service is great and it was really busy on a Tuesday night. Always a good sign. For 6:30pm reservation there was no parking valet as advertised / noted in OpenTable listing with the restaurant being on a street with no parking until 7pm, a very small lot in back with no available spaces, next to a residential area that did not allow non-residential parking. While David the host who answered the phone was apologetic, I was left scrambling to find an alternate restaurant with parking especially considering my guest was an older frail woman where closer was better. Thus while I had been to The Pikey before some years ago and was looking forward to my second visit, I no longer desire to. Brunch at The Pikey is one of the great things about living in Los Angeles. The English fare is comforting and familiar, but with just enough of a unique flair to keep it from being rote. 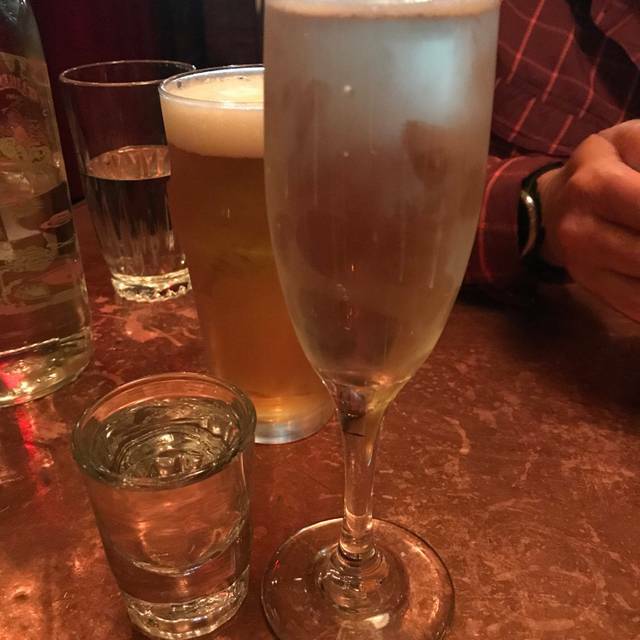 Drinks are generously poured and reasonably priced, and every single member of the staff is welcoming, amusing and seriously efficient. Will be back, many many times. Such a fun, casual place with great English food, like delectable fish and chips, liver pate and rarebit ... plus a very nice wine and beer list. Eclectic and comfortable, with efficient service. Our new fave. Have gone to the Pikey a few times and it's been a reliable later night bar/restaurant in a city that tends to close early. The people who work there are incredibly nice, there's a homey British pub atmosphere, and the service is good. The food is a bit less satisfying...very greasy fish and chips made with snapper instead of the usual cod. There is a decent kale caesar and the soups are usually good. My worst experience of all was recently, on Christmas 2018. The vegetable curry was a thick flavorless paste. Fish and chips were greasy as usual. There were a few overpriced Christmas specials ($34 for a vegetable pot pie). It was so disappointing and such a blatant rip-off for the holiday, I'm not returning. We love The Pikey as one of our neighborhood restaurants! It was so much fun to have our Christmas dinner there. Great food, ambience and festive scene! Good restaurant with authentic English staff. Food was good, if slightly limited on Christmas Day. Since the Pikey is open on Christmas Day, we decided to check it out for an early dinner. Because we’re weird and obsessed with our dog, we ate outside on the patio with her (she’s gigantic and everyone was accommodating). Food was awesome- I had the fish and chips and it definitely was just as delicious as what I’ve had in the UK. My fiancé had the burger and it was also really yummy...it looked like it came on a challah roll so it was very slightly sweet and was a great contrast to the charcoal grilled burger. Drinks were also well made and strong. The inside looked really cozy and nice, so we’ll definitely be back without the dog! Excellent food choice for Christmas Day lunch. Good service, excellent food. Lively themed Pub. Our server was friendly, knowledgeable and fun...will definitely go back! Salad and burger were amazing. They were very short staffed but our waiter was running all night and did his best to meet our needs. The restaurant is evenly divided into a brightly lit dining area and a dark and dimly lit bar area with perimeter seating around it. We sat at the bar section and enjoyed the warm and welcoming atmosphere. We shared both a hearty chopped salad, and a scrumptious vinegar chicken — both expertly prepared and highly recommended. We had been to the The Pikey last year on Christmas Eve for a lovely British Christmas inspired meal and bubbly. It was magical and soooo delicious. It was like Christmas in London. We just assumed they were doing a special menu again this year because it was so divine and packed last year. But, it was just a regular night. So, yeah, it was disappointing. We ordered the steak and it was a little tough. Asparagus was perfect, though. We heard they have a new chef so the jury is still out. Service was exceptional, as always! And seasonal decorations festive just like 2017. Best Sunday roast I've had in a long time! Great atmosphere and the staff are friendly and genuine. Really nice british pub, made me feel like home! Great friendly service for our large group. The Pikey always gets my thumbs up! This is our second year having Thanksgiving dinner at the Pikey! Last year was so wonderful we had to come back! David reserved a space for 8 of us, and the new grandbaby. We had the greatest time together and interacting with the staff. My wife is from Norwich UK and has mostly lost her accent living here since a teen. It comes back when she’s with her mom and when submersed into an environment where everyone encourages it. Its absolutely my favorite thing to hear her forget she’s lived here all these years and listen to her Norfolk Drawl come out. It’s not just a meal we enjoy at The Pikey, it’s the experience with all the people. We can’t thank David enough for fitting us all in for this joyous occasion! Thank you to everyone at The Pikey for another amazing Thanksgiving feast!